Nintendo is on a successful streak with its hybrid Nintendo Switch console, but does not think neglecting its line of notebooks and launched a new economic model, the new Nintendo 2DS XL. Discard 3D mode, but maintains power. When the Japanese video game company launched its hybrid Nintendo Switch console in March, many thought they were trying to fill a nonexistent space and that they were likely to fail. Today, the Switch already carries more units sold than the Wii U throughout its first year: almost 3 million. Before this successful scenario, the company clarified that similarly it would not deprive priority to its line of portable consoles that goes from the low-end 2DS to the New 3DS XL. Now the company launched in a surprising way this new model that is located in the middle. The 2DS XL has the same hardware improved as the New 3DS XL and also includes the second analog control. As its name implies, the new console does not have 3D mode, but with two large 4.88 and 4.18 inch screen. As for the design, it resumes the folding format of the rest of the 3DS consoles and it is lighter than the high end model. Along with the launch of the New 2DS XL will come three new games: “Hey! Pikmin”,” Miitopia” and “Dr. Kawashima’s Devilish Brain Training: Can you stay focused?” Nintendo kept its promise and it seems that it will not let go of its portable consoles despite the success of the Switch. 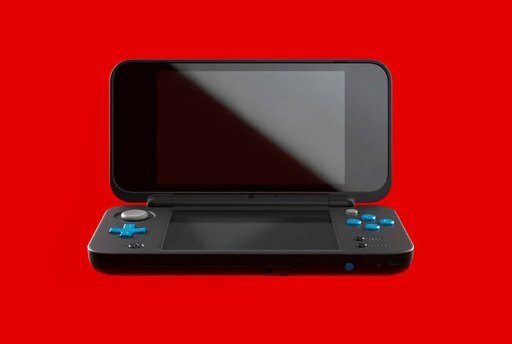 The New 2DS XL will be available from July 28 and in the United States will cost $150. The 3DS was changing from its first model. At first, Nintendo tried to focus on its technology that allows it to present 3D images without the need for lenses, but few games that took advantage of the new dimension. There were also doubts about the effects on children and that’s why the company launched the 2DS, a cheaper, robust and 3D-free console so that parents give their children.